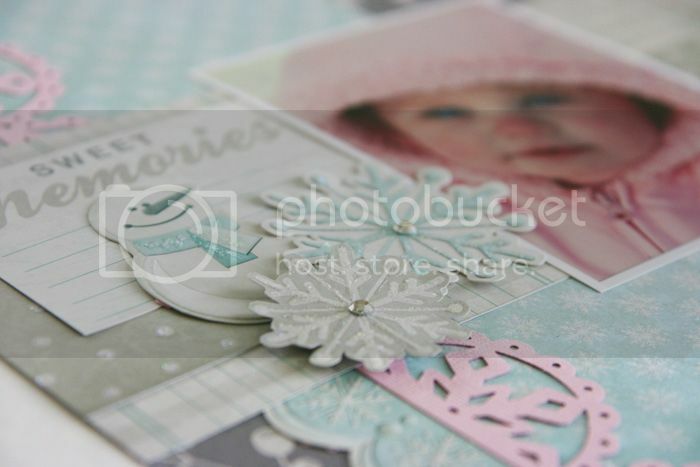 I saw your layout posted on facebook by We R Memory Keepers. It is beautiful. 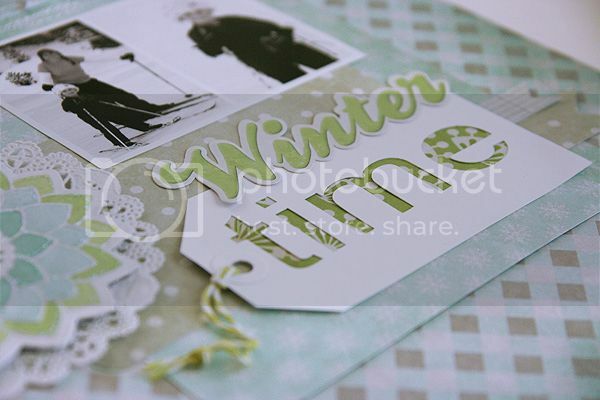 Oooooo....I love those papers and embellishments, too! My layout I have planned this weekend is of my Mom in 1937, age 3, with her little skis on. Beautiful work and congrats on being a guest designer for WRMK! 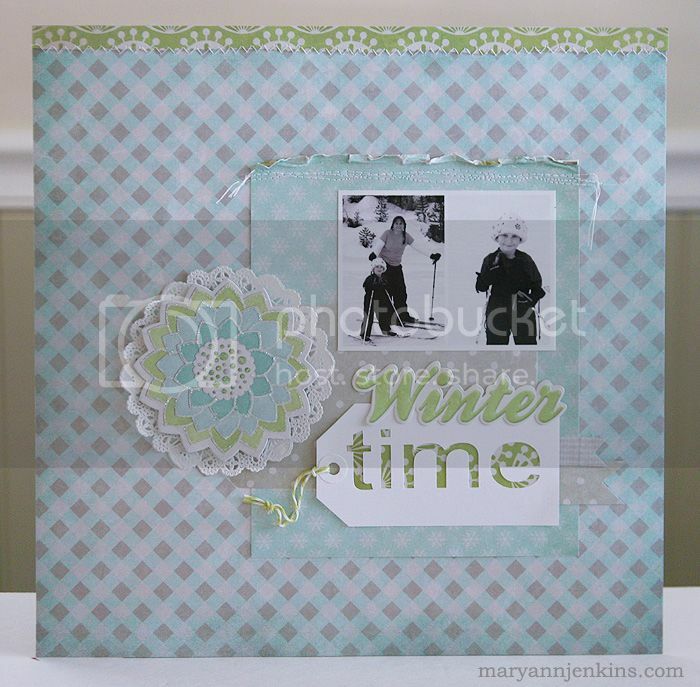 Gorgeous layout Mary Ann! Love that combo of colors and the negative title on your tag! And great sneak...can't wait to see the full layout! Just lovely. I really like those negative cuts.